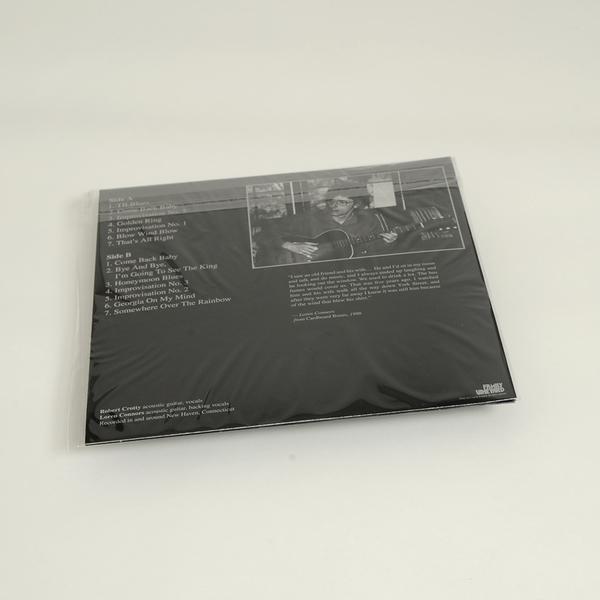 Riveting compendium of stark, raw blues by an erstwhile sparring partner of Loren Connors, recently salvaged from an old shoebox of tapes, restored by Taylor Deupree and mastered by Carl Saff. In the years 1978 to 1981, Robert Crotty would show up on Loren Connors’ doorstep in New Haven, Connecticut with his tiny, almost toy guitar. The two would then spend hours playing acoustic blues, the likes of which was absolutely staggering in its truthfulness. 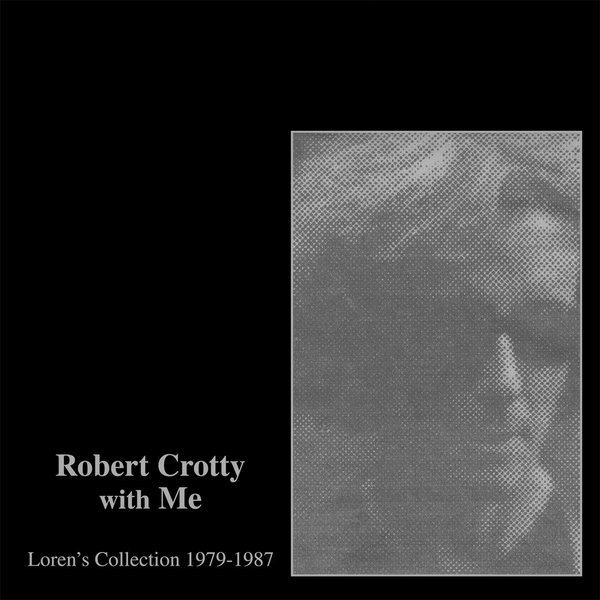 Robert Crotty with Me: Loren’s Collection (1979-1987) is the first anthology of the late bluesman’s work, as selected by his former playing partner. 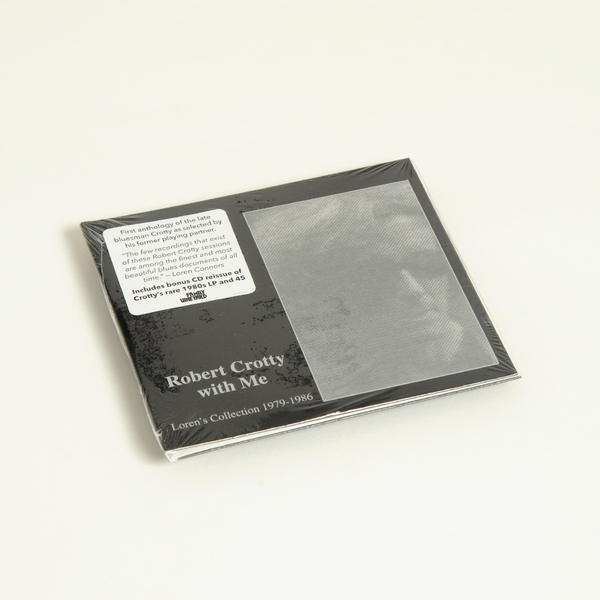 These are the unheard tapes of Crotty and Connors communing with the spirits of Delta and County Blues through their own revisions of standards and tingle-inducing improvisations. These also some of the legendary Connors' earliest available recordings showing the development of iconoclast guitar style and vocal moan. 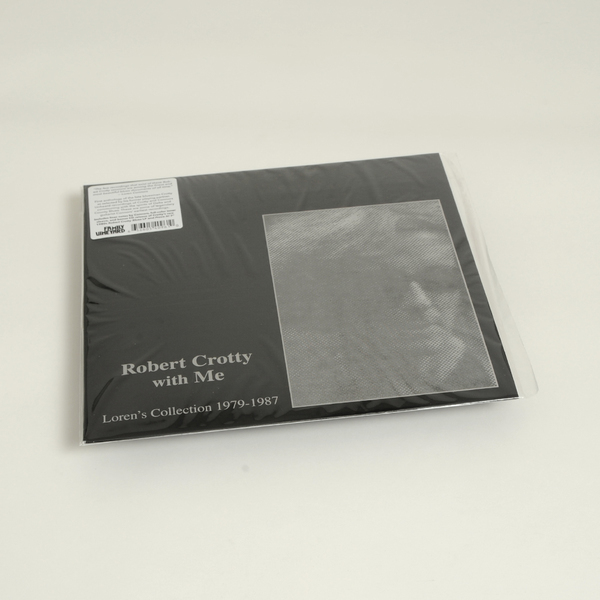 Limited to 500 copies, includes a full-colour inner sleeve, and bonus CD of Crotty's rare Robert Crotty Blues LP and Prove it 7". 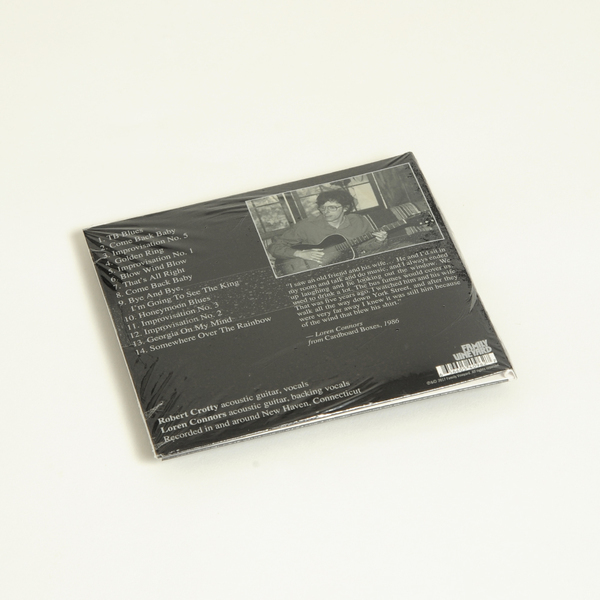 Liner notes by Loren Connors and Tim Crotty printed on inner. Includes bonus CD of Crotty's rare 19080's LP and 45.